Designed for high line utility workers, Triple Square Impact Socket can be used with any impact wrench or rattle gun to install or tighten utility pole hardware. 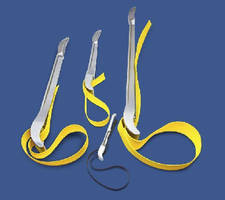 Tool has overall length of 7Â¾ in. with 3 square socket openings measuring Â¾ in. for Â½ in. hardware, 1 in. for 5/8 in. hardware, and 1 1/8 in. for Â¾ in. hardware. Featuring 13/16 in. 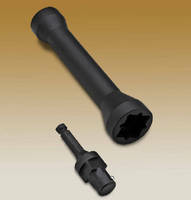 hollow shaft, Triple Socket allows workers to access nuts on many different threaded lengths. WORCESTER, MA . . Lowell Corporation has introduced the Triple Square Impact Socket, a tool for impact wrenches that combines three square socket openings into one device. 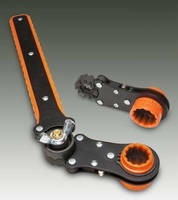 Designed for high line utility workers, the Triple Socket has a slim profile and light weight for easy handling. 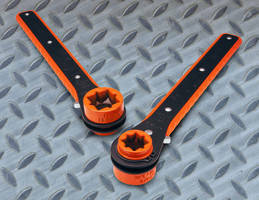 It can be used with any impact wrench or rattle gun to install or tighten utility pole hardware. 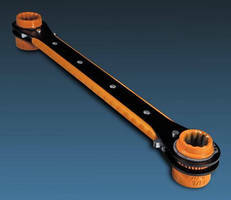 Overall length of the tool is 7-3/4" and it weighs 2 lbs. The three square socket openings are: oversized 3/4" for 1/2" hardware; 1" for 5/8" hardware; and 1-1/8" for 3/4" hardware. 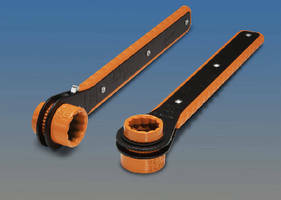 For use with 1/2" impact wrenches, a 7/16" Quick Change Adapter is included. 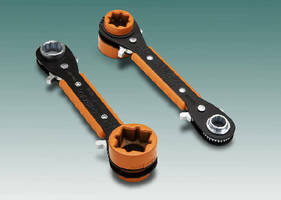 The tool can be turned end for end without having to remove the adapter from the wrench. The Triple Socket's 13/16" shaft is hollow and is deep enough to allow workers to access nuts on many different threaded lengths. The Triple Square Impact Socket is guaranteed against defects in material and workmanship for a period of one year from date of delivery. For the name of a distributor in your area or more information about Lowell tools, call 800/456-9355 or 508/835-2900, email customerservice@lowellcorp.com, or visit the company's web site: lowellcorp.com.